170105 passes Badgeworth on 6 March 2007 with the 1V23 11:00 Nottingham to Cardiff Central service. Note the strange mottled effect in the continuously glazed sides, caused by the reflection of the trackside bushes in the glass. 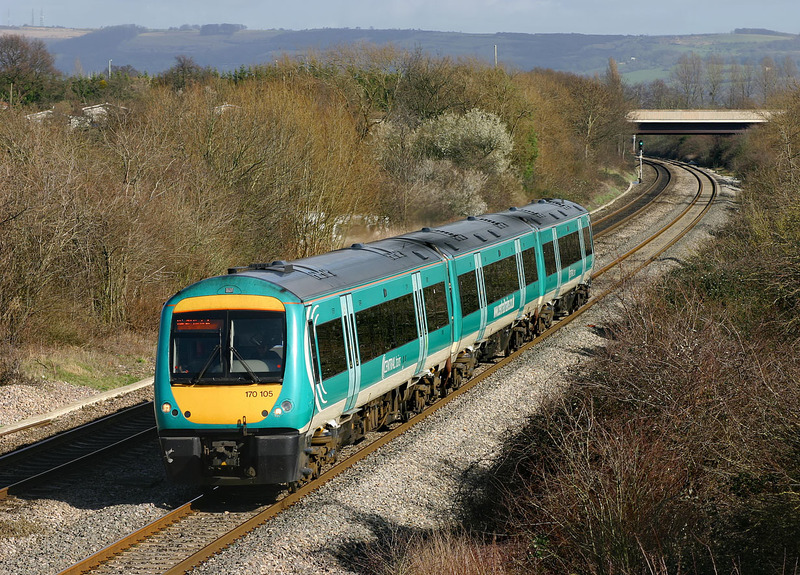 This turquoise Central Trains livery is arguably less attractive than the former green colour scheme.